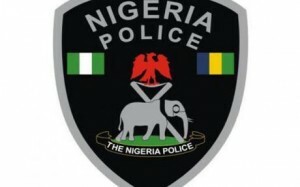 Operatives of the Homicide Section of the state Criminal Investigation Department, SCID, Yaba, Lagos, have begun investigation into the discovery of the decomposing body of a two-year-old child in a church premises in Egbeda area of Lagos. The pastor of the church has been arrested over the alleged murder of the child. It was gathered that a neighbour who had gone out to ease himself at 2a.m., last weekend, allegedly caught the pastor while burying the dead child in a shallow grave within the church premises. The neighbour whose identity was not disclosed, was said to have alerted other residents. They were said to have reported their findings to policemen at Idimu Division, consequent upon which a team was drafted to the church. The policemen, as gathered, dug the shallow grave where they discovered and exhumed the body of a baby girl. The body was deposited at the mortuary. Command’s Deputy Spokesman, Damasus Ozoani, confirmed the arrest.